Workers at the St. Francis in SF have asked that the public boycott the hotel, which is where the upcoming Pacific Division meeting is scheduled. The University of San Francisco has stepped in to provide an alternative location for sessions, and a list of non-boycotted hotels one might choose. All the needed information is available on this web site. I understand that the last time USF provided such a service, it was very successful. Having visited the campus recently, I can vouch for its being a much more pleasant place than any downtown hotel. Thanks, JT! And thanks to USF. We had an extensive and remarkably cordial discussion with the founder of a Facebook site devoted to jokes about punching women. That site has now been transformed. Those jokes are still there, but rather hard to find– what’s prominent, and all over the place, is anti-domestic-violence messages, and links to relevant resources. They now clearly see it as part of their mission to change the minds of people who think that domestic violence is acceptable. It’s fine to tell a joke, and it’s fine to be offended by that same joke or to laugh, But it’s not fun to think it’s just a joke. Imagine this, If for every 3 people who joined this group 1 person thought it was real, then there are 10,000 people who believe domestic violence is acceptable, If just one of those people change their mind because of this group, then we’ve done more than ever imagined. Finally, girls can use microscopes! Another in our series on breakthrough products, the microscope set for girls! On the one hand: Hurrah for girls using microscopes! On the other hand: Do girls really need a special pink microscope? On the third hand (I’m special): Anything that helps girls think they can do science is surely good. 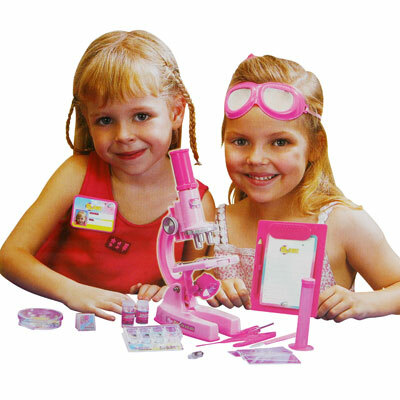 And maybe the pink microscope helps break down that “science is for boys” stereotype? But no matter who delivers the lesson, its implication is clear. Insofar as modern liberal discourse rests on a distinction between reasons that emerge in the course of disinterested observation — secular reasons — and reasons that flow from a prior metaphysical commitment, it hasn’t got a leg to stand on. Anyone want to have a go at evaluating Fish’s argument here? I think I see one large fallacy, and perhaps there are more. What do you think? And, wouldn’t it be nice if the higher powers that get invoked actually thought women’s decisions about their bodies are at least as sound as those groups of men want to make for them? Let me say at the start that I take very seriously the idea that many things we count as “mental disorders” may be in large part the result of society’s finding ways to express pain. There may be a sense in which they are not “real” the way a burn or a burst appendix may be real, for example. But I also think that there may be a very genuine underlying pain and that, more generally, some so-called mental problems can ruin lives. Further, I’m pretty sure some lives have been saved from ruin by medication. I hope this counts as a nuanced take on the issues addressed below. The topic of discussion is an article in the current New Yorker. It is by Louis Menand, and it is on the current state of psychiatry. I take it that the New Yorker is undeniably a high-class publication. Among other things, it is supposed to have really good fact checkers. So what should one say about the following quote? There is little agreement about what causes depression and no consensus about what cures it. Virtually no scientist subscribes to the man-in-the-waiting-room theory, which is that depression is caused by a lack of serotonin, but many people report that they feel better when they take drugs that affect serotonin and other brain chemicals. I think Menand’s comment is really difficult to understand, but it seems to imply that the fact that people feel better is not indicated by the scientific evidence. Well, that’s not the evidence I saw coming from many, many journals. If that’s what he was saying, it is startlingly false. Serotonin (5-HT) is a monoamine implicated in a variety of physiological processes that functions either as a neurotransmitter or as a peripheral hormone. Pharmacological and genetic studies in humans and experimental animals have shown that 5-HT is important for the pathophysiology of depressive disorders. The 5-HT system is thus already a main target for the therapy of these diseases. So why care about this? Unfortunately, severe depression, panic disorder and social anxiety disorder run in my family. We are not here talking about some shy people. Rather, we are talking about people who will stay away from all social gatherings, or people who sit in movies and can’t hear the movies because they think their bodies are being so noisy. In fact, most of my relatives are ordinary, fairly cheerful people, but then there NN, who had for some time a life blighted by severe depression. Until around the mid-80s, most psychiatrists NN saw believed what the New Yorker article is suggesting; anti-depressants may not be exactly a placebo, but they really shouldn’t have much of a role in mental health. So, because people move around and so on, NN saw three different doctors for severe depression and a pattern eventually became clear. Severe depression then pills then recovery then tapering off then horrible breakdown. Of course, it would be said that the breakdown was due to the failure of the previous psychiatrist, but to recover, pills were prescribed. And once NN recovered, tapering off started, to be followed by severe breakdown, etc. NN was typically impaired for most of a decade, since we need to add that since no one really believed in the pills effectiveness, he didn’t get the dose he needed. Severe depression is very, very horrible, and it can include quite disordered thinking that too often can lead to suicide. It is very alarming that Menand article will reinforce the beliefs of the doctors whom NN saw and who are probably still practicing. The recommendation from people who have written about their own depression is, overwhelmingly, Take the meds! It’s the position of Andrew Solomon, in “The Noonday Demon” (2001), a wise and humane book. It’s the position of many of the contributors to “Unholy Ghost” (2001) and “Poets on Prozac” (2008), anthologies of essays by writers about depression. The ones who took medication say that they write much better than they did when they were depressed. William Styron, in his widely read memoir “Darkness Visible” (1990), says that his experience in talk therapy was a damaging waste of time, and that he wishes he had gone straight to the hospital when his depression became severe. What if your sadness was grief, though? And what if there were a pill that relieved you of the physical pain of bereavement—sleeplessness, weeping, loss of appetite—without diluting your love for or memory of the dead? I’d say that counts as changing the topic. However, perhaps we should say that the article has many topics. One is whether we should try to medicate ourselves out of the human condition, with its ordinary pains, even the very severe ones. What I am concerned about, though, is NN and others like him, who still are fortunate if they can get adequate treatment. Their state is not simply ordinary; it is more horrible than humans should have to endure, though hospitals have had, and do have, many who do. We do not need an article that appears to say no scientist thinks pills are a good response to depression.